A few weeks ago I did some research about how Android apps take advantage of multi-core processors. Specifically, I looked to debunk the myth that Android apps only use one CPU core. My findings basically put an end to that particular fairy tale, however there are other gingerbread houses in the woods that need knocking down! One caveat from this research was that I hadn’t yet had the chance to run my tests on a Cortex-A53/Cortex-A57 setup as my octa-core test device had a Qualcomm Snapdragon 615, which has a quad-core 1.7GHz ARM Cortex A53 cluster and a quad-core 1.0GHz A53 cluster. 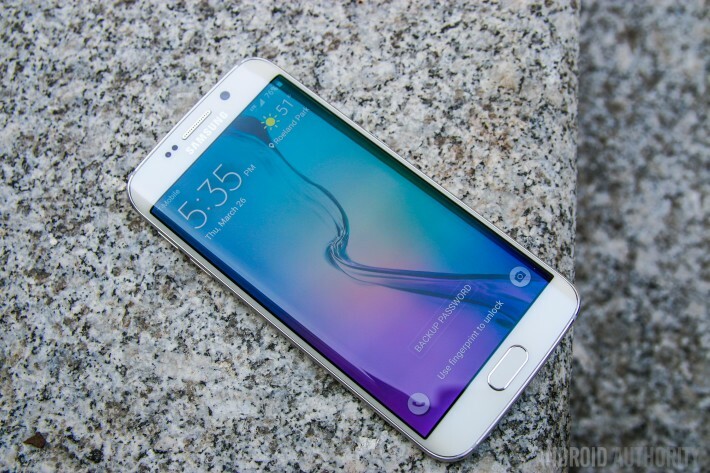 However I have now had the opportunity to run some tests on a Samsung Galaxy S6 and its Exynos 7420 processor! So to recap briefly what this is all about. Smartphone have multi-core processors. First it was dual-core, then quad-core and now we have 6 and 8 core mobile processors. This is also true in the desktop space, however there is one big difference between the 6 and 8 core desktop processors from Intel and AMD, and the 6 and 8 core processors based on the ARM architecture – most ARM based processors with more than 4 cores use at least two different core designs. This arrangement is known as big.LITTLE, where big processor cores (Cortex-A57) are combined with LITTLE processor cores (Cortex-A53). The Exynos 7420 is an ARM based processor which uses a system known as Heterogeneous Multi-Processing (HMP), which means that not all the cores are equal (hence, heterogeneous). The Galaxy S6’s processor has a cluster of Cortex-A57 cores and a cluster of Cortex-A53 cores. The A57 is a high performance core, while the A53 has greater energy efficiency. This arrangement is known as big.LITTLE, where “big” processor cores (Cortex-A57) are combined with “LITTLE” processor cores (Cortex-A53). This is very different to the 6 or 8 core desktop processors that we see from Intel and AMD, as on the desktop power consumption isn’t as critical as it is on mobile. Once you have a multi-core setup, the question arises, can Android apps use all those cores effectively? At the heart of Linux (the OS kernel used by Android) is a scheduler which determines how much CPU time is given to each app and on which CPU core it will run. To utilize multi-core processors fully, Android apps need to be multi-threaded, however Android is itself a multi-process, multi-tasking OS. One of the system level tasks in Android’s architecture is the SurfaceFlinger. It is a core part of the way Android sends graphics to the display. It is a separate task that needs to be scheduled and given a slice of CPU time. What this means is that certain graphic operations need another process to run before they are complete. For a much fuller explanation of multi-tasking, scheduling, and multi-threading please read Fact or Fiction: Android apps only use one CPU core. Chrome – active cores on a octa-core phone. Chrome – core usage on octa-core phone. The two graphs show the number of cores being used, and the core percentage usage, while using Chrome on a smartphone with an octa-core Snapdragon 615. As you can see, seven cores are consistently being used with the occasional spike to 8, and a few times when it dips to 6 and 4 cores. You will also notice that there are two or three cores which run more than the others, however all the cores are being utilized in some way or another. What we are seeing is how the big.LITTLE architecture is able to swap threads from one core to another depending on the load. Remember, the extra cores are here for energy efficiency, not performance. The graphs above are for a device with a Qualcomm Snapdragon 615, which has a quad-core 1.7GHz ARM Cortex A53 cluster and a quad-core 1.0GHz A53 cluster. Although the two clusters of cores are different, one is clocked at 1.7GHz and the other at 1GHz, the difference between the two is mainly just clock speed. The Exynos 7420 used in the Galaxy S6 uses four ARM Cortex-A57 cores clocked at 2.1GHz, and four Cortex-A53 cores clocked at 1.5GHz. This is quite a different setup than the Snapdragon 615. Here there are two distinctively different CPU core architectures being used together. For example the Cortex-A57 uses an out-of-order pipeline, while the Cortex-A53 has an in-order pipeline. There are of course many other architectural differences between the two core designs. The Exynos 7420 used in the Galaxy S6 uses four ARM Cortex-A57 cores clocked at 2.1GHz, and four Cortex-A53 cores clocked at 1.5GHz. It is also worth noting that the max clock speed for the Cortex-A53 cores is 1.5GHz, almost as high as the bigger of the Cortex-A53 clusters in the Snapdragon 615. What this means is that the overall performance characteristics will be quite different on the Exynos 7420. Where the Snapdragon 615 may have favored the big cluster (Cortex-A53 @ 1.7GHz) for some workloads, the Exynos 7420 could favor the LITTLE cluster (Cortex-A53 @ 1.5GHz) as it is almost as powerful as the big cluster in the Snapdragon 615. So let’s start by comparing the way the Samsung Galaxy S6 uses Chrome. To perform the test I opened the Android Authority website in Chrome and then started browsing. I stayed only on the Android Authority website, but I didn’t spend time reading the pages that loaded, as that would have resulted in no CPU use. However I waited until the page was loaded and rendered, and then I moved on to the next page. Chrome – active cores on a Samsung Galaxy S6. The graph above shows how many cores are being used by Android and Chrome. The baseline seems to be around 5 cores and it peaks frequently at 8 cores. It doesn’t show how much the core is being used (that comes in a moment) but it shows if the core is being utilized at all. Chrome – core usage on a Samsung Galaxy S6. The graph above shows how much each core was utilized. This is an averaged-out graph (as the real one is a scary scrawl of lines). This means that the peak usages are shown as less. For example, the peak on this graph is just over 95%, however the raw data shows that some of the cores hit 100% multiple times during the test run. However it still gives us a good representation of what was happening. Chrome – core usage profile on a Samsung Galaxy S6. On the Exynos 7420 (and on the Snapdragon 615) cores 1 to 4 are the LITTLE cores (the Cortex-A53 cores) and cores 5 to 8 are the big cores (the Cortex-A57 cores). The graph above shows that the Exynos 7420 is favoring the little cores and leaving the BIG cores idle as much as possible. In fact the little cores are hardly ever idle were as the BIG cores are idle for between 30% to 50% of the time. The reason this is important is because the BIG cores use more battery. So if the more energy efficient LITTLE cores are up to the task then they are used and the big cores can sleep. However when the workload gets tough the big cores are called into action, that is why the max usage for the big cores is at 100%. There were times when they were used at 100% and other times when there were idle, allowing the LITTLE cores to do the work. The graph above shows this more clearly. The green line shows the combined LITTLE core usage, while the blue line shows the combined big core usage. As you can see the LITTLE cores are being used all the time, in fact the LITTLE core usage only occasionally dips below the big core usage. However the big cores spike as they are used more and dip when they are used less, only coming into play when needed. Notice the three spikes in big core usage as I loaded a page and the spikes in the LITTLE core usage as I scrolled down the page and new elements were rendered and displayed. Google deploys many of its key Android apps via the Play Store, and besides Chrome, other popular Google apps include YouTube and Gmail. Google’s email client is a good example of an app that uses Android’s user interface elements. There are no sprites, no 3D graphics, no video to render, just an Android UI. I performed a general usage test where I scrolled up and down in the inbox, searched for emails, replied to an email and wrote a new email – in other words I used the app as it was intended. Gmail – core usage on a Samsung Galaxy S6. As you would expect, an email client isn’t going to stress a processor like the Exynos 7420. As you can see from the graph, overall CPU usage is fairly low. There are a few spikes, but on average the cores utilization is less than 30 percent. The scheduler predominantly uses the LITTLE Cortex-A53 cores and the big cores are idle for around 70 percent of the time. Gmail – big vs LITTLE usage on Samsung Galaxy S6. YouTube is different to Gmail in that while it has UI elements, it also has to do a lot of video decoding. Most of the video work won’t be handled by the CPU, so its job is predominately UI and networking plus general coordination. YouTube – big vs LITTLE usage on Samsung Galaxy S6. The big cores are hardly being used at all and the energy efficient (but lower performance) cores are being used to move around data, and handle the network connections etc. YouTube – active cores on Samsung Galaxy S6. YouTube – core usage on Samsung Galaxy S6. YouTube – core usage profile on Samsung Galaxy S6. Games are a quite different category of app. They are often GPU intensive and not necessarily CPU bound. I tested a range of games including Epic Citadel, Jurassic World, Subway Surfer, Crossy Road, Perfect Dude 2, and Solitaire. Starting with Epic Citadel, the demo app for the Unreal Engine 3, what I discovered is that again the LITTLE cores are being used consistently and the big cores are being used as support, when necessary. On average the LITTLE cores are running at around 30 to 40 percent utilization while the big cores are being used at less than 10 percent. The big cores are idle for around 40 percent of the time, however when used they can peak at over 90 percent usage. Epic Citadel – core usage profile on Samsung Galaxy S6. Epic Citadel – core usage on Samsung Galaxy S6. Epic Citadel -big vs LITTLE on Samsung Galaxy S6. Epic Citadel Guided Tour Mode – core usage on Samsung Galaxy S6. Epic Citadel Guided Tour Mode – core usage profile on Samsung Galaxy S6. Perfect Dude 2: core usage profile on Samsung Galaxy S6. Perfect Dude 2: core usage on Samsung Galaxy S6. Crossy Road: active cores on Samsung Galaxy S6. Crossy Road: core usage profile on Samsung Galaxy S6. Crossy Road: core usage on Samsung Galaxy S6. Subway Surfer: big vs LITTLE on Samsung Galaxy S6. Subway Surfer: core usage profile on Samsung Galaxy S6. Subway Surfer: core usage on Samsung Galaxy S6. Jurassic World: big vs LITTLE on Samsung Galaxy S6. Jurassic World: core usage profile on Samsung Galaxy S6. Jurassic World: core usage on Samsung Galaxy S6. Solitaire: big vs LITTLE on Samsung Galaxy S6. Solitaire: core usage profile on Samsung Galaxy S6. Solitaire: core usage on Samsung Galaxy S6. AnTuTu core usage on Samsung Galaxy S6. AnTuTu core usage profile on Samsung Galaxy S6. AnTuTu big vs LITTLE on Samsung Galaxy S6. Even a cursory look shows that the workloads generated by AnTuTu are nothing like real world workloads. The graphs also show us that it is possible to get the Samsung Galaxy S6 to max-out all eight of its CPU cores, but it is completely artificial! For more information about the dangers of benchmarks see Beware of the benchmarks, how to know what to look for. I also need to list some caveats here. The first thing to underline is that these tests do not benchmark the performance of the phone. My testing only shows how the Exynos 7420 runs different apps. It does not look at the benefits or drawbacks of running parts of an app on two cores at 25% utilization, rather than on one core at 50%, and so on. Secondly, the scan interval for these statistics is around one six of a second (i.e. around 160 milliseconds). If a core reports its usage is 25% in that 160 milliseconds and another core reports its usage is 25% then the graphs will show both cores running simultaneously at 25%. However it is possible that the first core ran at 25% utilization for 80 milliseconds and then the second core ran at 25% utilization for 80 milliseconds. This means that the cores were used consecutively and not simultaneously. At the moment my test setup doesn’t allow me any greater resolution. On phones with Qualcomm Snapdragon processors it is possible to disable CPU cores by using Linux’s CPU hotplug feature. However, to do so, you need to kill the ‘mpdecision’ process otherwise the cores will come back online again when the ‘mpdecision’ process runs. It is also possible to disable the individual cores on the Exynos 7420 however I can’t find the equivalent of ‘mpdecision’ which means that whenever I disable a core it get re-enabled after only a few seconds. The result is that I am unable to test the workloads, performance and battery life with different cores disabled (i.e. with all the big cores disabled, or with all the LITTLE cores disabled). The idea behind Heterogeneous Multi-Processing (HMP) is that there are sets of CPU cores with different energy efficiency levels. The cores with the best energy efficiency don’t offer the highest performance. The scheduler picks which cores are the best for each workload, this decision making process happens many times per second and the CPU cores are activated and deactivated accordingly. Also the frequency of the CPU cores is controlled, they are ramped up and throttled down according to the workload. This means the scheduler can pick between cores with different performance characteristics and control the speed of each core, giving it a plethora of choices. The default behavior of a big.LITTLE processor is to use its LITTLE cores. In terms of battery life, the higher the frequency of a CPU the more power it will use. There are some clever mathematical equations that show this, but the bottom line is this: multi-core processors are more power efficient than a single core processor running at higher frequencies, or in technical terms multi-core processors have better performance per mW. What the above testing shows is that the default behavior of a big.LITTLE processor is to use its LITTLE cores. These cores are running at lower clock frequencies (compared to the big cores) and have a more energy efficient design (but at the loss of top end performance). When the Exynos 7420 needs to perform extra work then the big cores are activated. The reason for this isn’t just performance (from the user’s point of view) but there are power savings to be found when a CPU core can perform its work fast and then return to idle. It is also obvious that at no time is the Exynos 7420 being asked to work overly hard. Jurassic World pushes the processor harder than any of the other apps or games, however even it still leaves the big cores idle for over 50 percent of the time. This raises two interesting questions. First, should processor makers be looking at other HMP combinations, other than just 4+4. It is interesting that the LG G4 uses a hexa-core processor rather than an octa-core processor. The Snapdragon 808 in the LG G4 uses two Cortex-A57 cores and four A53 cores. Secondly, the power efficiency and performance of the GPU shouldn’t be underestimated when looking at the overall design of a processor. Could it be that a lower performing CPU with a more powerful GPU is better combination? What are your thoughts on Heterogeneous Multi-Processing, big.LITTLE, octa-core processors, hexa-core processors, and the Exynos 7420? Please let me know in the comments below.